I love these delicious middle-eastern chickpea goodies, but I just hate to fry them. I never had a thing for deep frying and a pan loaded with hot oil in my kitchen. Lately, my husband was craving deep fried pakoras and vadas in these chili days of November. So, I decided to bake some falafels at home which are traditionally deep fried balls or patties made with ground chickpeas, herbs and spices. 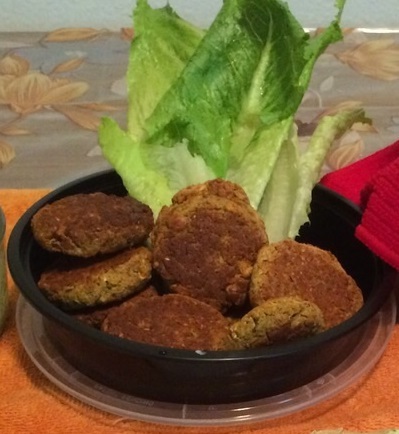 These baked falafels are still crunchy and brown from outside and soft and delicious from inside. Usually, Chickpeas are first soaked overnight and ground with spices and herbs along with few spoons of white flour for binding. Here we are using par-boiled chickpea with some roasted chickpea flour instead of white flour. Chickpea flour gives Indian dimension and also helps browning the surfaces when baked. We flavor these ground mixture with onion, coriander seeds, cumin seed, peppercorns, cilantro and parsley. 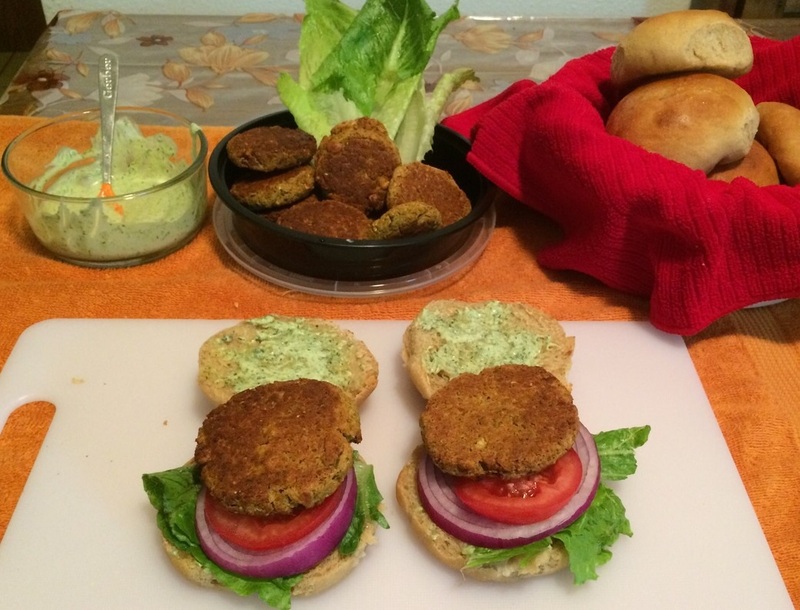 Serve it hot as snack with some tomato sauce or make pita sandwiches or assemble your own whole wheat burger like me for dinner. 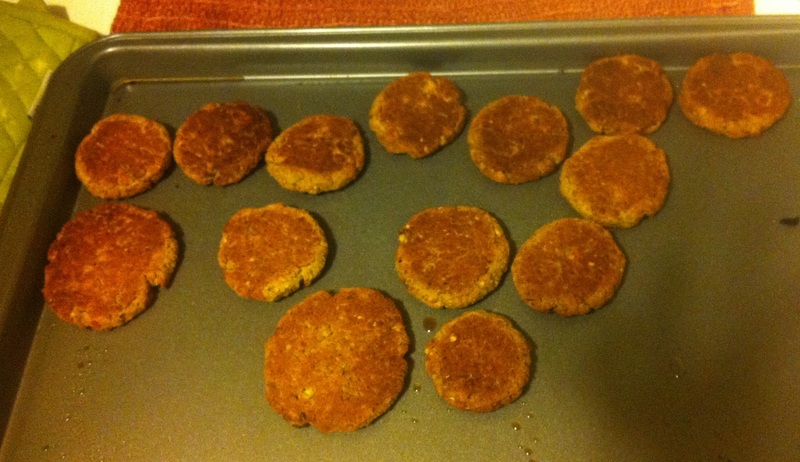 Grease your hands and form 2 inch wide patties which are 1/2 inch deep and place on the baking sheet. Be creative with burger. Arrange plates of vegetable cut into slices and dips like yogurt dips or sauces and ask the guest to make their own burgers.